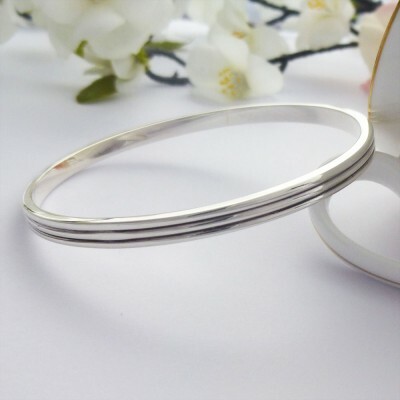 The charming Phoebe Double Grooved Bangle is a beautiful solid 925 sterling silver bangle that features two carefully crafted groves which create the illusion of a triple bangle. 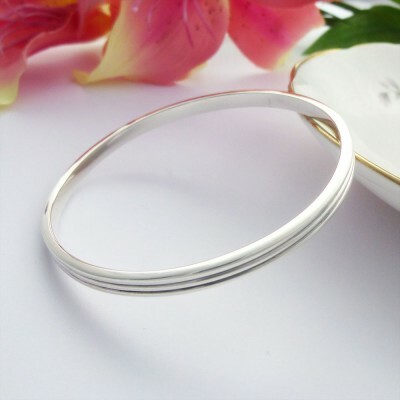 An adorable bangle which is already proving to be extremely popular with our customers. The Phoebe Double Grooved Bangle has been handmade and hallmarked in the UK. 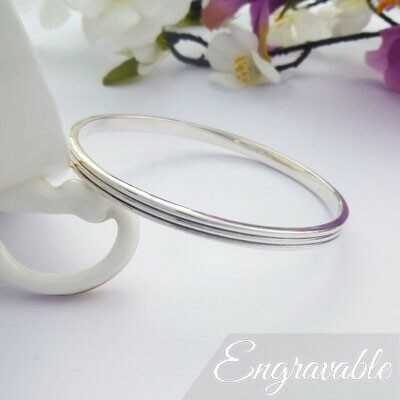 This bangle looks amazing on and is suitable for ladies of all ages and really would make a wonderful present for special birthday such as an 18th, 21st or 40th birhday. 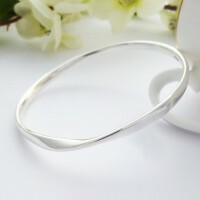 The Phoebe Double Grooved Bangle measures 4mm wide. 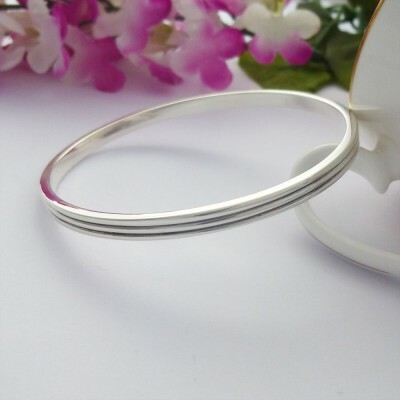 It measures 63mm in diameter making it the perfect size for ladies with regular size wrists and is an engravable silver bangle. The Phoebe is hand made in solid 925 sterling silver with a UK hallmark. 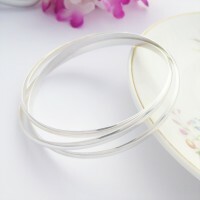 The double grooved bangle measures 4mm wide.